Dr. Orlee Hamer received her Bachelor of Arts degree from the University of Pennsylvania before attending medical school at the University of Medicine and Dentistry of New Jersey, School of Osteopathic Medicine. 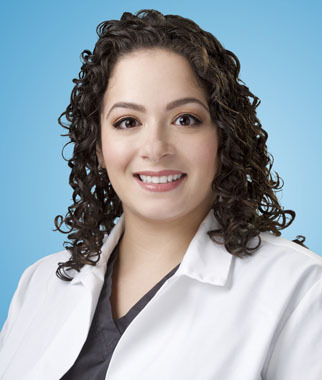 She did her post-graduate internship training at Delaware County Memorial Hospital and completed her residency training in Physical Medicine and Rehabilitation at New York Presbyterian Hospital- Columbia University Medical Center and Weill Cornell Medical College. She is board certified in Physical Medicine and Rehabilitation. She also serves as an Assistant Clinical Professor in the Department of Rehabilitation and Regenerative Medicine at Columbia University Medical Center. Dr. Hamer specializes in a multidisciplinary approach to treat pain and musculoskeletal disorders by integrating physical therapy with injection techniques and osteopathic manipulation. Dr. Hamer individualizes her treatment plan with a focus on functional restoration. She employs a comprehensive approach to the treatment of pain and musculoskeletal disorders by providing medical care in an honest, kind, and compassionate manner. All of us at the Freeman Spine and Pain Institute want our patients to know that we consider it an honor and a privilege to take care of you and your family. By adding new highly qualified, expert trained physicians to our team, we will continue to remain committed to provide the highest quality of care to alleviate your pain and restore your quality of life!